It's that magical time of year again where we make miracles every day. Yessiree, 30 Days Of Dead is back! As a token of our appreciation for making 2018 an epic year, we're giving away a high-quality 320Kbps MP3 download every day this month. 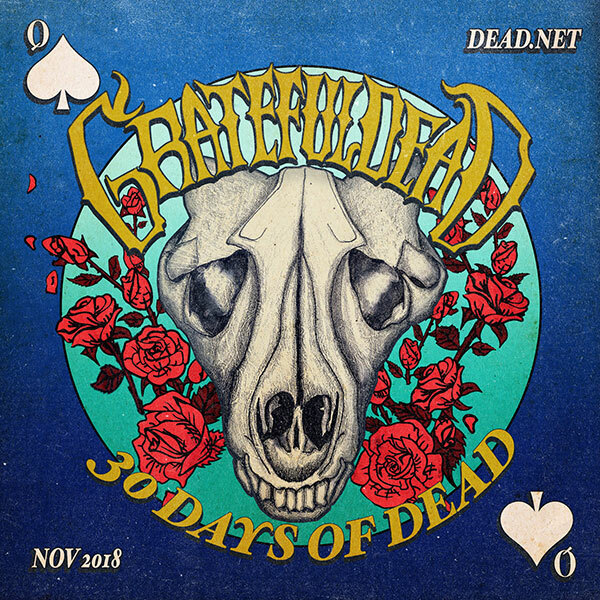 That's 30 days of unreleased Grateful Dead tracks from the vault, selected by Dead archivist David Lemieux! Intrigued? We're also going to put your knowledge to the test and give you a chance to win prizes, not to mention bragging rights. You know your Ables from your Bakers from your C's, but can your finely tuned ears differentiate the cosmic "comeback" tour from a spacey 70's show? 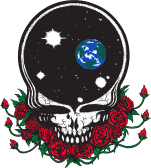 Each day we'll post a free download from one of the Dead's coveted shows. Will it be from that magical night at Madison Square Garden in '93 or from way back when they were just starting to warm it up at Winterland? Is that Pigpen's harmonica we hear? Brent on keys? Step right up and try your hand all November long. Guess the venue and date correctly and you'll be automatically entered to win the prize of the day - a 2019 Grateful Dead Wall Calendar. Each day a winner will be selected at random, so take your time and make your best guess! Answer correctly, and you will also be automatically entered for our PACIFIC NORTHWEST '73-'74 THE COMPLETE RECORDINGS boxed set. Thanks for joining us again this year! Note : This music file must be accessed from a computer or laptop. You cannot download this file directly onto your smartphone or tablet. Access this file from your computer or laptop first and then you may transfer the music files to your mobile device. Right-click this link and select "save link as..."
Techenoid focuses more on the productivity enhancement training to build the highly skilled workforce in order to meet the challenges of worldwide business competitions by corporates. We at Techenoid ridiculously committed to offering industry-best training(https://techenoid.com/salesforce-developer-training) and skill-building services in an innovative way. Anyone put together a file listing all the dates and venues yet? Thanks again for a real good time. Be well my friends..
30 days ends on a hometown birthday show for me! There were so many shows in the Bay Area I was grateful for; the Greek, the Frost, Kaiser, Shoreline, and the New Year runs in the 80s and 90s at the Coliseum usually included a birthday show for me on the 27th. This was my 20th. I cant say I vividly remember this run from the 2nd set. Go figure! ;) Thank you for the 30 days of daily bliss and happy holidays to all!! Missed a day? You can go back and grab downloads here.